No matter what sort of MacBook you have just picked up from your friendly neighborhood Apple store, you are going to want to keep that baby safe. If you have a 13 inch or a 15-inch MacBook Pro, you will want to pick up a sturdy and secure cover. When you think about what you spent to buy your new device, you definitely don’t want to break it. An accidental drop could suddenly end in tears if you did not have a safety cover on your MacBook Pro. So why not spend just a little bit more and make sure your new device stays safe? All sorts of protective mechanisms are now on the market so we have prepared an article to give you some views. Read on and learn about stylish covers and great accessories to keep your Apple MacBook Pro safe. Some covers slip right on whereas others operate in different ways so it is always great to look at all your options. Today we have put together a selection of what we believe is the best Apple MacBook Pro covers on the market. If you have a touch bar or not, we have looked into covers that will keep your favorite laptop safe. Here is our 2018 list of Best Apple MacBook Pro Covers. 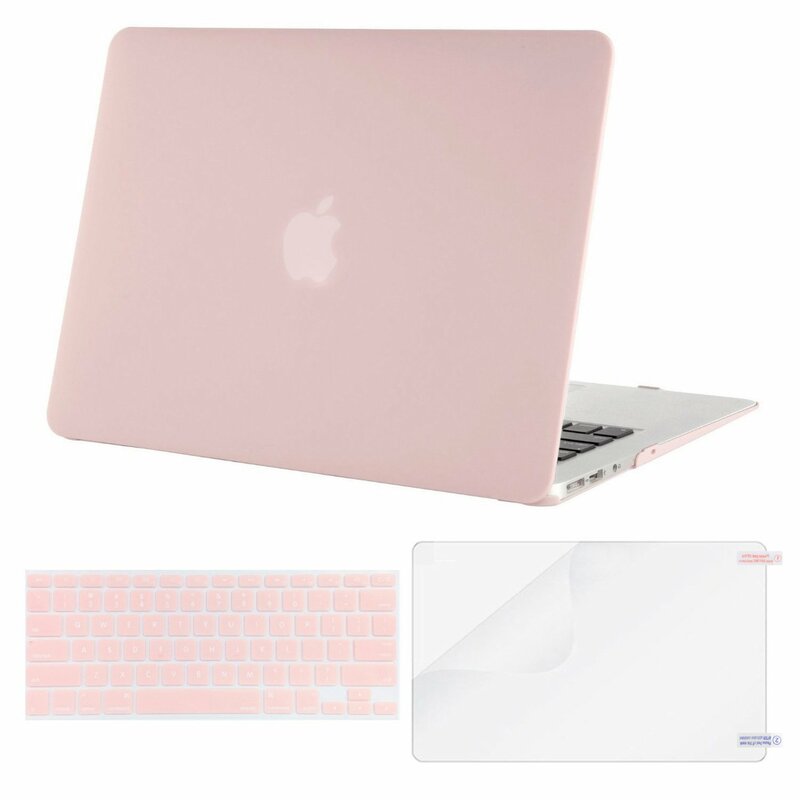 The Mosiso Plastic Hard Cover for MacBook Pro is an amazing and stylish cover. It is extremely secure and will keep your device safe from any mistakes or drops. Mosiso is all about quality and premium designs. Meaning it is safe and looks beautiful. Complete with padded protection and hard plastic, you will feel that your device is secure and look professional. The cover with a quick snap button and is very simple to install. Also, the cover comes in a nice assortment of colors meaning you can find the perfect color that suits your style. The hard plastic will keep any damage from shock at bay. The perfect cover for the user that wants to keep that elegant and minimalist Apple style. Moshi iGlaze is the best option if you are looking for a clear case cover. This is a clip and slips on a cover so you can install it in a matter of seconds. Also, it will keep everything safe while giving up none of that MacBook Pro charm. It is very lightweight but provides you with supreme hard shell protection. A great feature is that it does not block any of the ports. Complete with a gap on the bottom to allow your laptop to keep up high-quality ventilation. Equipped with sturdy rubber feet so nothing will slip off the table. Not to mention it will not scratch on any table you set it down on. A perfect cover for your Apple laptop. Another beautiful clear option is the Speck Presidio Clear. This is a tantalizingly well-made shell case that clips on easily. It is completely clear so you keep together the well known Apple style. 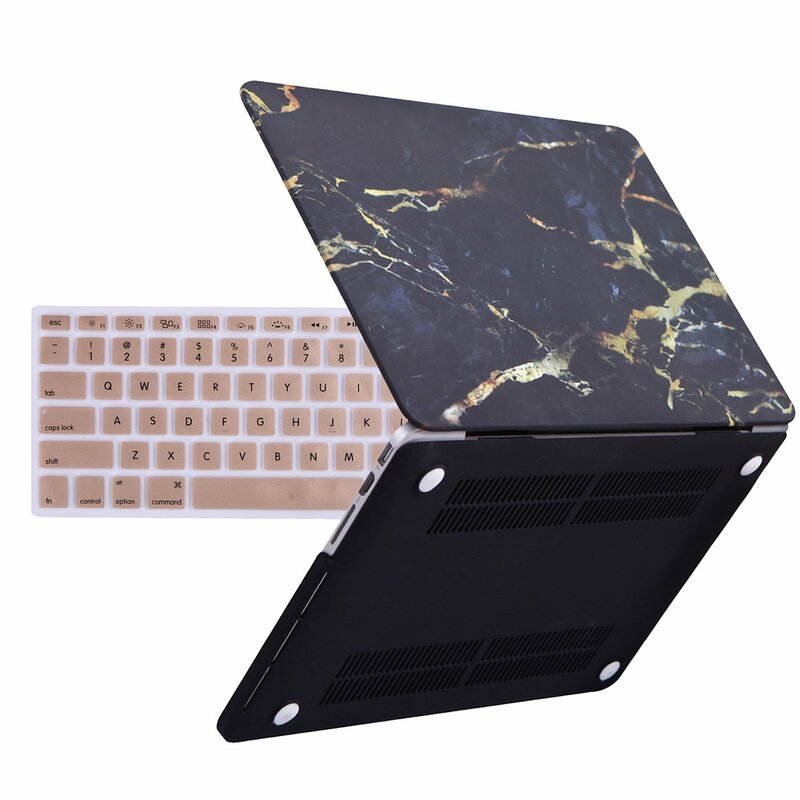 Born with rubber feet this cover will not let your MacBook Pro slip away. All the laptop’s ports remain accessible, which means it is a perfect choice for those users looking for a simple cover. Providing you with the peace of mind that your laptop is not going to be damaged when you take it out on the move. A clear and minimalistic case which is great for people who want protection without a big case. 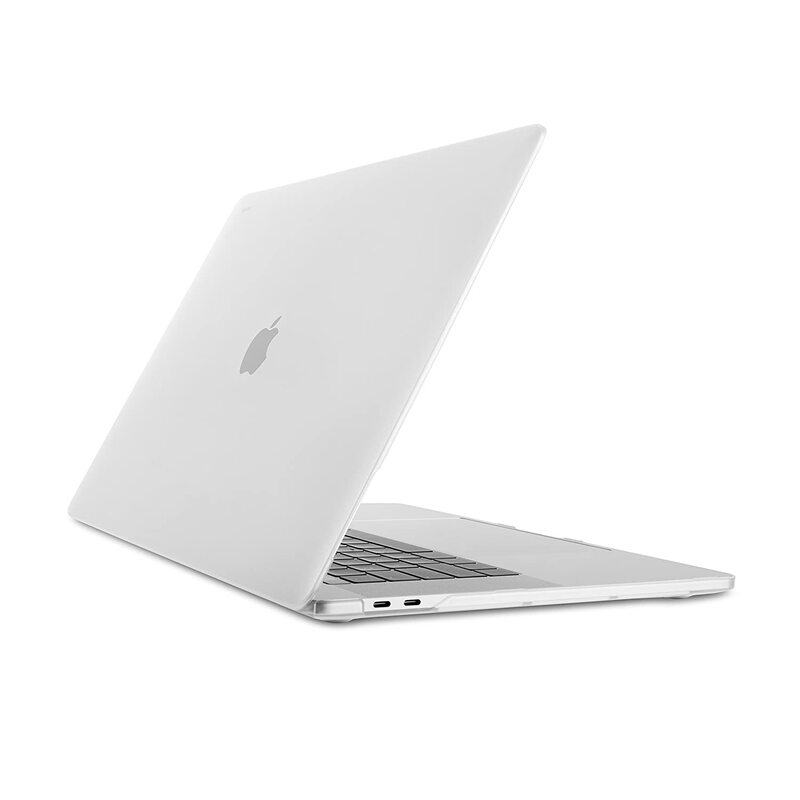 The HDE MacBook Pro Retina Case is a super hard shell cover for those using a 13-inch laptop. It comes in some stylish options that will have a color that suits your fashion. Don’t worry though they do also have some 15-inch options available. You can also find some options that have patterns on like a US flag, perfect for showing your nationality. But the thing we really love about this cover is that it does not add any thickness. It keeps your MacBook nice and thin, which is how it should be. Another simple yet effective snap-on mechanism is used for this cover. All the ports have cutouts and the installation is super easy. All our readers have reported not having any difficulty using this cover. 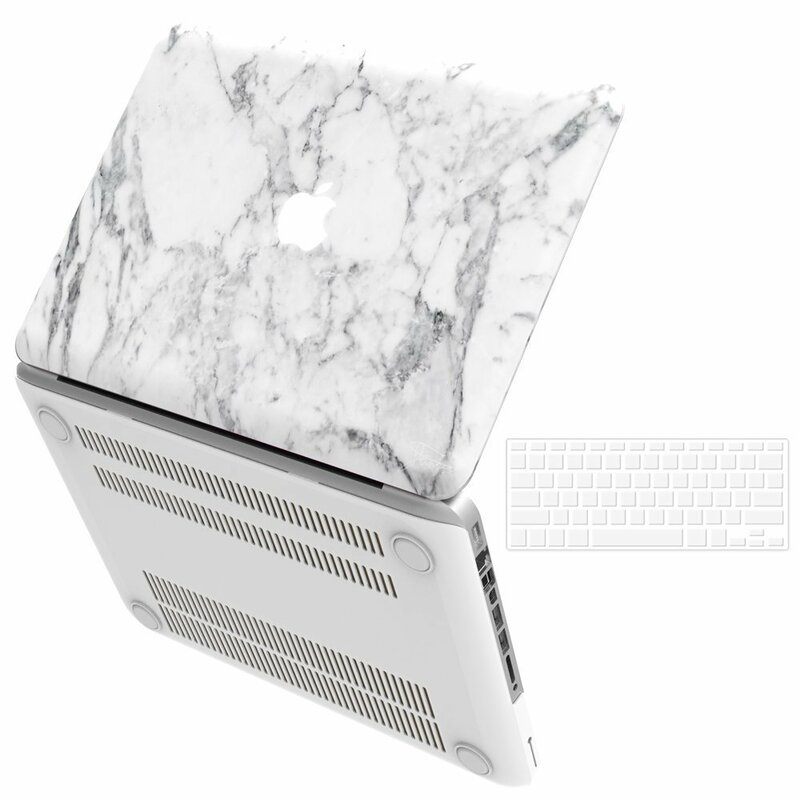 According to the manufacturers’ website, you will also be able to use this secure cover with older MacBook models. Unfortunately, the let down with this cover is it cannot support any MacBook PROs that have an optical drive. 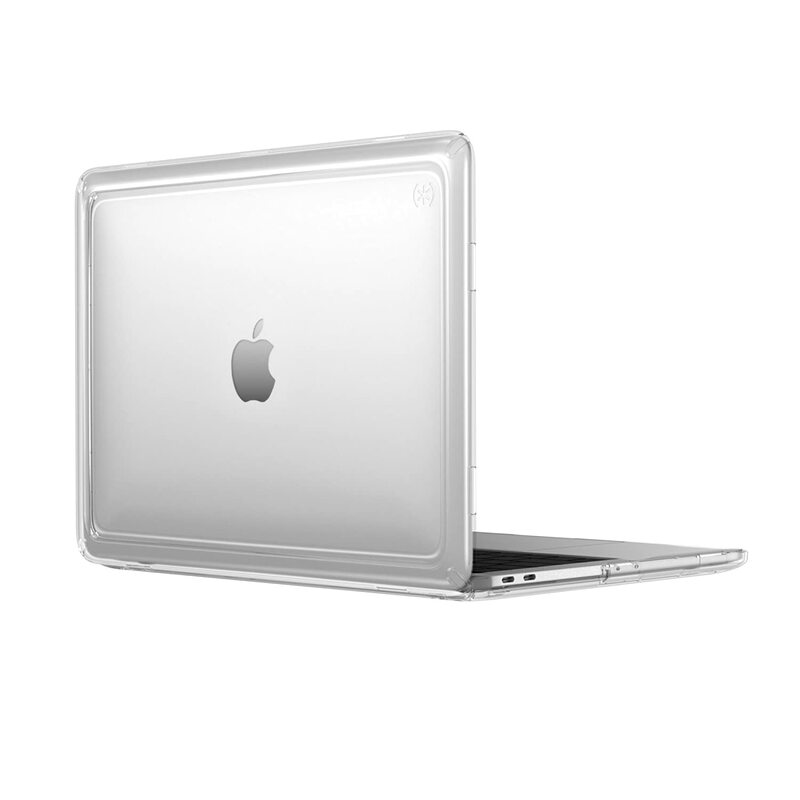 The iBenzer MacBook Pro hard case cover is a great option that remains very inexpensive. And the model comes with everything that you could possibly need. All your ports are accessible and even supports models that have CD-ROM drives. Not the mention it gives you a keyboard skin also to keep your keys nice and safe. You can travel and know that your laptop will stay safe and secure. This cover is a flexible plastic material which snaps on very easily to your device. You can install it in a matter of minutes and have your laptop effectively protected. No more damage from accidental falls, this slim design will keep your device stylish and safe. And that is it, that is our round up for 2018 best 5 MacBook Pro Covers. Please get in touch and let us know what you are using today. We love hearing from our readers!